Synthesizers.com ist ein totaler Klassiker unter den 5HE Modular-Anbietern, kaum jemand der keine Module von dort hat. Aber auch dort gibt es etwas neues, nämlich absolut scharf aussehende Cases (entschuldigt bitte diesen 80er- Ausdruck) – aber ist doch wahr – Diskussion/drüber reden? plus a bunch of patch chords and psu – at $3700 us. to me this is a modular of love. 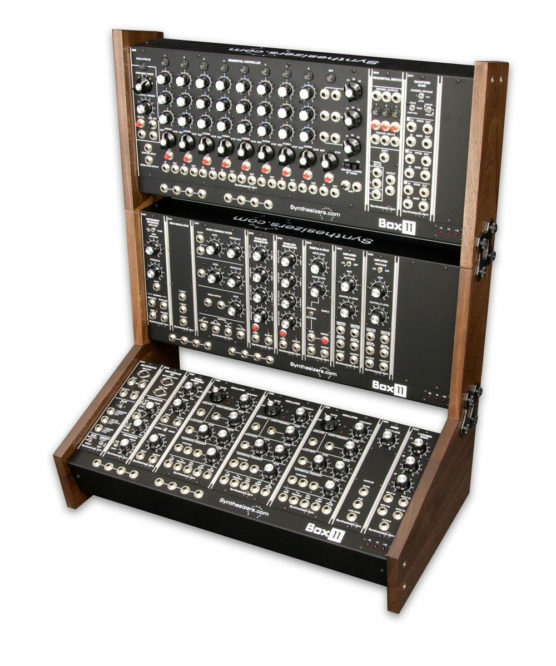 and it is about the size of a classic moog but more than a model 15 since it has 3 VCOs but still a noise generator and S/H – so this is in fact a real system – no lfos (use a VCO instead) and one ENV might not be enough – but this env is a mini sequencer .. I’d say – 2 envs and 2 vcas and this would be the best with this look – here you might want another envelope generator – maybe not necessarly another VCA.. so tempted by the looks. – for me. 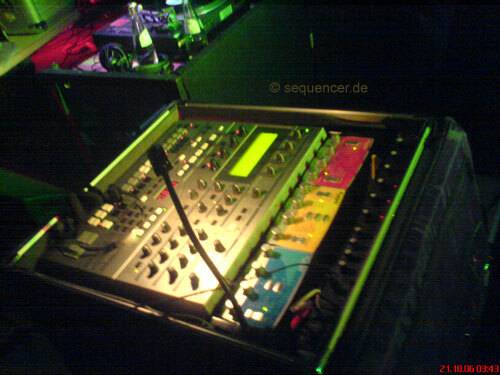 there ARE options – of course EG and LFO are an option here – and the quantizer aid is another. – well this is a fun system to work with, I am sure. 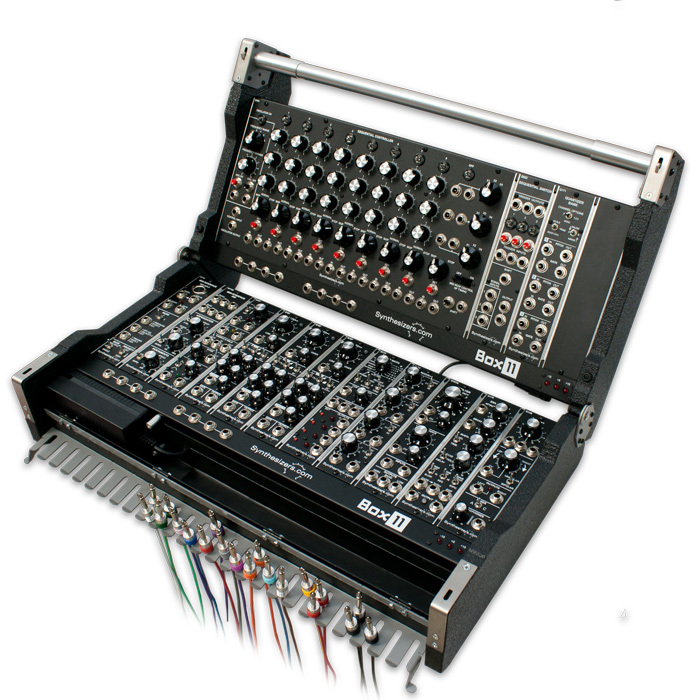 this module seems new – made for the „small“ case noise and s/h in one module to fit in..